We were awakened by the sound of explosions “Are you kidding me? It’s 5 am on a Sunday!” Boom…boom, boom, boom…boom, boom…boom…boom, boom, boom. This went on non-stop for almost an hour. Then just when we were lulled into a false sense of peace and were drifting back to sleep the booms gave way to church bells, cocka-doodling roosters, a braying donkey and an unknown number of barking dogs, five of whom were asking us for their breakfast. And so begins our first Sunday morning in small town Jocotepec Mexico. We are four days in to our 3 ½ week housesit in Jocotepec on Lake Chapala and we have arrived in the middle of a week-long festival for one of the towns churches. Being a predominantly Catholic nation every town in Mexico has at least a couple of churches and it seems that every church has its own annual festival. The festivals will be somewhat unique to each church but they all generally last about a week building momentum daily and culminating on the Sunday with a full day of celebrations. This particular church festival took place the same week as Mexican Labor Day and also Dia de la Cruz so we were treated to daily random cohetes (the exploding boom makers) starting earlier and earlier every morning. By the time the big day arrived the cohetes started exploding at 5 am. Someone actually told us that it has been known for the parish priest to elect people to set off cohetes early on certain Sunday mornings to make certain his parishoners woke up for morning mass. If so I would say it definitely worked. We finally gave in to the symphony of sounds ourselves and decided to get up and face the day. Actually once the cohetes slowed to the occasional boom, boom…boom, boom, boom every hour or so it was a fairly quiet morning, presumably because the priest’s tactics had worked and everyone was at morning mass. The usual sounds of the many delivery trucks driving through the neighborhoods were missing as were the motorbikes and work trucks. In case you haven’t been in non-touristy residential Mexico it seems that almost everything is delivered here…water, propane, produce, baked goods…and they all have their own melodic call to action. Both the water and propane delivery trucks have recorded jingles blasting over a loudspeaker so that you can hear them coming down your street and run out front to hail them down. The propane has an especially catchy tune that sticks in your head like the last song you heard play on the radio. The produce and baked goods are usually transported on a bike or push cart contraption and the ‘driver’ will be calling out his wares in sing song limerick verse. We usually can’t quite make out what he’s selling due to our crappy Spanish so I often will run to the window to see what’s displayed on the cart. I personally love all of these small town traditions, I guess partly because it feels like you’ve stepped back in time to a simpler world. It’s also somewhat nostalgic for me as I actually remember as a child in Wales waiting for the milkman to come to my Grandparents home so that I could get the inch of cream which sat at the top of the glass milk bottles. Maybe that’s a European thing? Anyway, back to our Sunday. After a leisurely morning we decided to walk down to the malecon on the lake. A malecon is simply a boardwalk or walkway at the edge of a body of water and in Mexico it is the place to be on a Sunday. As you can read in previous posts ‘Best Of Puerto Vallarta’ and ‘A Peace Of La Paz’ we spent many Sundays on the malecon in Puerto Vallarta and also really loved walking the one in La Paz so we were looking forward to discovering the Jocotepec malecon even though we didn’t have any high expectations. As I mentioned in my last post Jocotepec is not a tourist destination but is a sleepy, authentic, traditional Mexican town with just a handful of expats and not a tourist in sight so we were quite impressed when we entered the park that was an introduction to the malecon itself. A full bar in the park? Only in Mexico! The park was beautifully laid out with plenty of grass to picnic on, trees to hammock in and enough fabulous brick grills for everyone to use. There was also a kid’s waterpark, a go-cart track, a soccer field, a skate park, a running track and a whole row of permanent food and drink stands. Some of the drink stands even had a full bar set up should you want a cold cerveza or for the die hards a Gin & Tonic. Quite simply there was something for everyone and on this beautiful Sunday afternoon everyone was indeed making full use of the facilities. There were families and groups sitting on blankets eating and drinking, random musicians strolling around playing guitar and serenading the masses, kids playing in the little lagoon and water park, skateboarders flying over ramps and clusters of teenagers lounging around without a care in the world. In between the park and what used to be the water’s edge ( I’ll explain later) was the malecon. It too was impressively designed with a wide cement pathway interspersed with beautiful sculptures and with little bridges traversing the lagoon and piers branching off over what used to be the lake. Sadly overuse of the lake water has led to a drop in water levels and the lakeshore now starts about 200 feet from where it used to edge the malecon. That’s Mexico. Now that area is bone dry and filled with kids playing and horses grazing…still a pleasant sight but definitely not what it used to be. To reach the boats that cruise the lake you now have to walk out to the end of the pier where makeshift steps will take you down to the dry shore where you walk another 100 feet to reach the water. Regardless it is still a fabulous place to spend the day and on Sundays especially you can’t help but be caught up in the laid back, laughter filled ambience that is Mexico. After spending a couple of hours exploring and relaxing and sharing a cerveza with our neighbor, whom we ran into there, we headed back to the town square to check out the church festivities. As with most events in Mexico there is very rarely anything posted anywhere in regards to times and activities. If you want to take part you either have to be lucky enough to stumble across at the right time or be patient enough to wait around the general area for hours in the hopes that you’ll catch it. See our post ‘Falling In Love With Merida Mexico’ for an example of this. On this day we were the former and as we approached the main square we saw clusters of people forming at the intersections of the streets leading to the church. We weren’t sure at first what we were waiting for…A parade? A marching band? Mexican dancers? What it actually turned out to be was a pilgrimage to the church. There didn’t appear to be any real plan or organization to this pilgrimage but there were several random rows of people (mainly women) in the middle of the closed down streets and they were kneel/walking on folded blankets. There would be a handful of helpers who walked along side of the kneelers and scooped up the blankets behind the last in line and then scurried to the front of the line to lay it down in front of the first kneeler enabling them to continue on their knees along the street. It was slow going and looked quite painful even with the blankets. We followed along for a while and I managed to take a hopefully discreet photo of the pilgrims. When we finally made it to the church we were just in time to see a large throng of people just starting to move forward as one down the street past the church. There was no room to go along side and make our way to the front so we had to be satisfied with standing on a bench to see what was up ahead in front of the crowd. All we could see above the heads of the masses was a slow moving, massive cross which we assume was being carried by parishoners. We considered following along or staying put to await the return of the cross but having been through many Mexican parades and celebrations we knew that it could take literally hours to make its route and we were pretty much done with walking for the day. I have to give credit to the Mexican people for their patience and stamina, they will stand for hours waiting for a parade or procession to pass by and not utter a single complaint. So we returned to our lovely temporary home where we were lucky enough to be housesitting to be greeted by five very happy dogs and set about making dinner, after which we had planned to go back to the square to partake in the evening festivities. This never happened. Tired from our explorations and recovering from a bout of flu the past few days we were just too easily enticed by the comfort of the couch and snuggles with the dogs to venture out again. We didn’t miss it entirely however, we did get to see the fireworks light up the sky and hear the church bells ring and of course our day ended as it had begun…with a symphony of cohetes blasting in the night…boom…boom,boom,boom…boom, boom…boom. 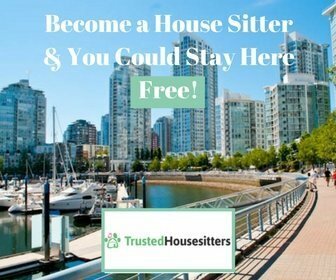 Why We Love House Sitting And How We Do It!